TUSCALOOSA, Ala. -- The USSSA Pride are one win from earning a third National Pro Fastpitch championship in the past four seasons. But if the league's signature franchise is poised to be the story of the moment Monday at Rhoads Stadium, the story Sunday was the team it beat. That with a season on the line, the Chicago Bandits can be down but not out. That was the case when the sport's greatest pitcher of the moment left for a landmark free-agent offer this spring. 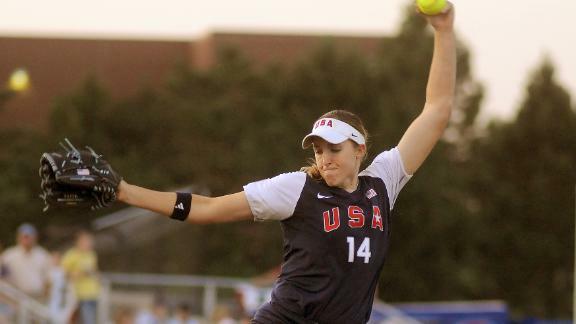 Monica Abbott, who became the sport's first million-dollar player by signing a five-year contract with the Houston-area Scrap Yard Dawgs, brought an era to an end in Chicago with her exit. 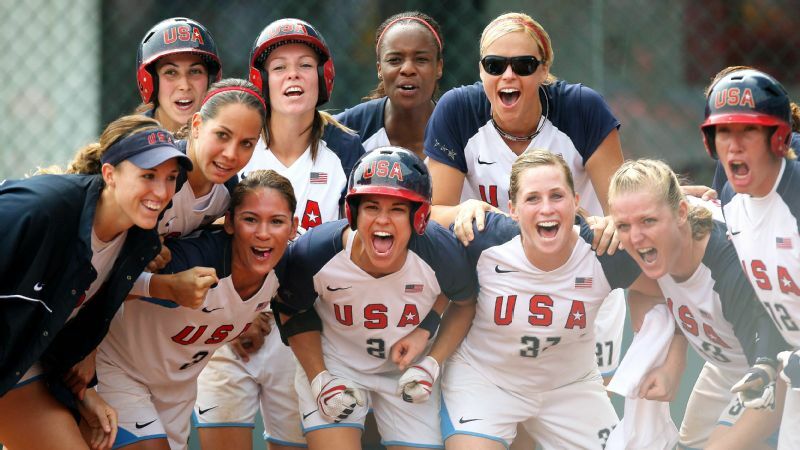 The road outside their softball-only stadium is named for former Bandits ace Jennie Finch, but it's Abbott who led the team to its greatest glory. Yet her departure didn't end her former team. With a place in Sunday night's championship series opener on the line in an elimination game, and Abbott starting for the opposition for the third day in a row, the third-seeded Bandits collectively outdueled their former ace and her second-seeded teammates for a 2-1 win. That meant their season lives on even after a 3-1 loss against the Pride later in the day, the first game of a best-of-three championship round. "The thing I love about this group is there's not an excuse," Bandits coach Michael Steuerwald said. "We lost Monica. So what? We lost [other key veterans]. So what? We're young, we start a lot of rookies some days. So what? We're starting a [former Division II pitcher] today. So what? "There's never really an excuse for this group." Inclement weather in the Tuscaloosa area a day earlier forced changes to the schedule. Neither finalist in the championship series had been decided when the day began. The Pride played first and beat the Akron Racers 6-2 to sweep that best-of-three semifinal series. That left the Bandits and Dawgs to play a winner-take-all game after splitting the first two games of their series. 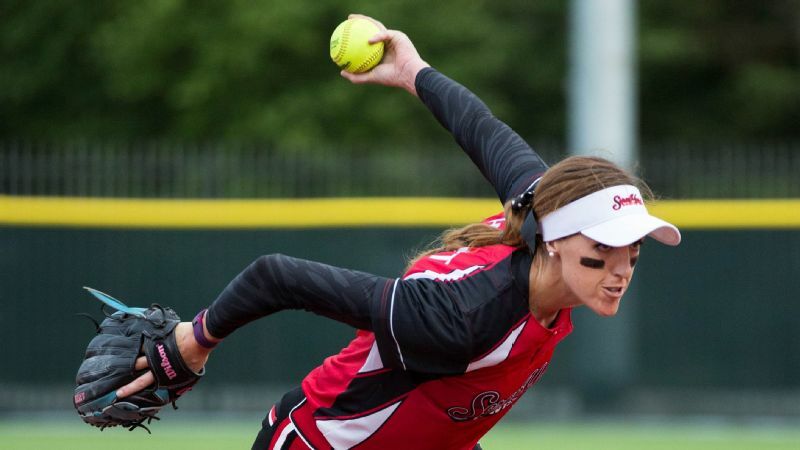 The Dawgs started Abbott, whose 19 wins in her first season with the expansion franchise at least equaled the win total of any two other pitchers in the league in the regular season. The Bandits countered with Angel Bunner, a veteran who had one win in the regular season, and then rookie Shelby Turnier. The Bandits have long been the Pride's foil in the league -- this will be their sixth meeting for the championship in the past seven seasons -- in part because they had Abbott but also because owner Bill Sokolis and general manager Aaron Moore were able to identify underrated talent and retain many of those players in a league that is often transient. Players like Brittany Cervantes, in her fifth season, and Danielle Zymkowitz, in her sixth. So it was that the Bandits played Sunday like a team that got used to winning when Abbott was around, not a team afraid it wouldn't be able to win without her. Scrap Yard was a remarkable success as an expansion team. It will contend for titles with Abbott around. But as its players lamented, it couldn't catch a break on Sunday. Those all seemed to go to the Bandits. And that's nothing new. "I feel like I was such a ringleader in that group at some point for some of those things," Abbott said. "And now they're doing it against me. It was a little bit like déjà vu and ironic." Abbott suggested that Cervantes played with a chip on her shoulder. It wasn't a slight, instead sounding more like a compliment. And Cervantes agreed with the characterization. So many hitters are defeated before they even step into the batter's box against Abbott. And to be sure, most Bandits left the box without much success. But from the opening inning, when Chicago's Taylor Edwards hit a sharp double, Cervantes walked, Amanda Kamekona beat out a dribbler of an infield single and Zymkowitz drove in Edwards with a grounder to the right side, the Bandits weren't intimidated. "I think we came into the series knowing who we were going to face the entire time," Cervantes said. "I played with her for four years, some people for five. So we kind of knew certain things. We tried to just attack early and set the tone from the first inning." Two innings later, Zymkowitz lined a triple over a drawn-in outfield to drive in the second run. And right down to a seventh inning in which they essentially had to come up with five outs, the Bandits were given chances to falter. After the Pride's Emilee Koerner led off the final frame with a single, the Bandits appeared to turn a clinical double play to put themselves on the brink of victory. But the umpire stood at home plate, left arm outstretched to signal that the catcher's glove had contacted Emily Crane's bat. Instead of two outs and no runners on base, Turnier faced no outs with two runners on base. The extended inning, in turn, meant the final two batters to come to the plate were the two the Bandits least wanted to see: Nerissa Myers and Madison Shipman. With two outs, for real, Myers walked to load the bases. But Shipman hit a crisp liner to center for the final out. "I told this group between games that I couldn't be more proud of them, the way they fought," Steuerwald said. "Win or lose, if Shipman gets a base hit and we lose that game, I still would have been just as proud of this group for the way they competed." With less than an hour between the end of the game against the Dawgs and the first pitch of the championship series opener, the Bandits couldn't duplicate their bold opening. The Bandits stranded two runners in the top of the first inning. Then the Pride's Megan Wiggins, in many ways the primary pot stirrer in the rivalry between the two franchises when she played for the Bandits, hit a home run to lead off the bottom of the first. Chelsea Goodacre followed with a solo home run an inning later to double the lead. Bandits starter Morgan Foley, who only months ago was pitching to NCAA Division II hitters for the University of Indianapolis, didn't fold in a high-pressure spot. The rookie even struck out league MVP Kelly Kretschman twice, but Lauren Chamberlain's RBI single made it 3-0 in the third inning. Chicago's Kristen Brown pulled one run back on with a home run in the fifth inning off Pride starter Keilani Ricketts, but Ricketts and Jordan Taylor completed the pitching task. The Pride have their own story to tell of stepping up when many expected a step back. 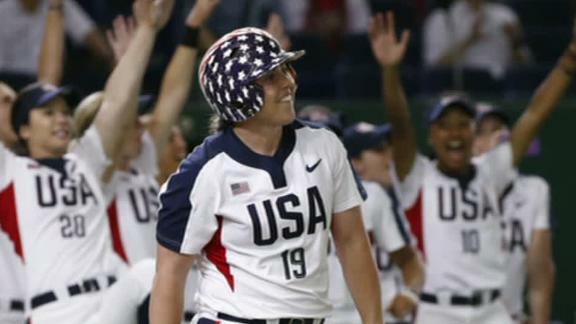 With the ageless Kretschman in the lineup but without the contributions of former Olympians like Cat Osterman, Natasha Watley and Andrea Duran, the Pride entrusted their success to a new generation. They then cruised to the best record in the regular season and are now poised to complete a dominant season, one in which they lead the league in slugging percentage, on-base percentage, runs, fewest errors, ERA and pitching strikeouts. What stands between them, as it so often has before, is a rival.